RightsNow Pakistan is seriously concerned for the safety and security of Mr. Lakshan Dias, a human rights lawyer, and the Asia Pacific Refugee Rights Network (APRRN) Steering Committee member who is being followed and harassed by motorcyclist and white van.Using white van by state agents for abduction of human rights defenders is an old style in Sri Lanka. We believe that these harassment tactics are being used by state actors are related to human rights work of Mr. Dias who has appeared for victims of human rights violations in Fundamental Rights applications before the Supreme Court and also represented torture victims, political prisoners before lower courts, visited detainees including political prisoners and those deported after seeking asylum abroad. He has also engaged in advocacy work nationally and internationally, often speaking out against torture, arbitrary arrest and detention, enforced disappearances, campaigning for repeal of the elements in the Prevention of Terrorism Act that contradict Sri Lanka ’s international treaty obligations etc. 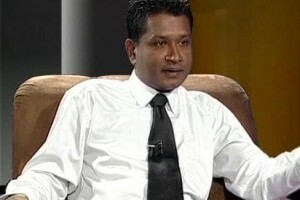 He has also been involved in advocacy on migrant workers and refugees from other countries coming to Sri Lanka. RightsNow Pakistan & Pakistani Civil Society urge diplomatic community at Colombo, South Asia South Asian Association for Regional Cooperation, lawyers and other civil society actors to do their best to protect Lakshan Dias and his family. We also urge Sri Lankan authorities to ensure the safety and security of Mr. Dias and his family and guarantee that Mr. Dias and other human rights activists in the country can carry out their legitimate human rights activities without fear of reprisal and free of all restrictions.